In the wake of global economic slowdown and collapsing commodity prices, mining companies and consumers of minerals need to be ever more cost conscious if they are to survive. On the 15th October, the European Minerals Yearbook, first digital reliable source of information on minerals statistics and intelligence in Europe, was officially launched at the “Raw Materials Diplomacy Dialogue between the EU and Advanced Mining Countries” organized by the European Commission DG GROW and EASME in Brussels. 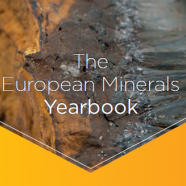 Including 40 European countries, 65 commodities from primary minerals with a focus on the twenty critical raw materials for the EU, covering a 10-year span for production and trade, the Yearbook is meant to reduce costs and risks, and secure sustained supplies for European industries in the mining and manufacturing sectors. This comprehensive database contains detailed production pan-European information, therefore providing a new tool to the industry and EU decision-makers which before had to rely on fragmented and/or non-official sources. As MEP Mr Andrejs Mamikins stated: “The European Minerals Yearbook is a great achievement. It could, for instance, reinvigorate also my home country Latvia’s economy through a more efficient extraction and subsequent use of natural resources. It could allow Europe to be much more self-sufficient and not overly dependent on the United States Geological Survey agency. It is my hope that the newest yearbook shall open a new page in Europe’s quest for increased competitiveness and prosperity”. In his speech, Mr David Mair, Director for Policy Support Coordination at the Joint Research Centre of the European Commission, strongly supported the strategic cooperation between the JRC and EuroGeoSurveys to transfer knowledge and scientific evidence into policy. The Yearbook information is intended to be used by public sector bodies in decision making and planning, across Europe and should help, for example, to avoid situations whereby important mineral areas and regions are rendered unavailable because of planning constraints or alternative land uses. Mr Koen Verbruggen, EuroGeoSurveys President, said “the European mining sector spends too much time searching for data; the Minerals Yearbook will make the data available at the touch of a button, free of charge, and will be an important boost to profitability of the companies that use it”. The European Minerals Yearbook has been welcomed as a powerful tool to provide a much-needed impetus to our resource-demanding economy sectors by means of enhanced documentation and information provision to interested parties on minerals and other raw materials kept in Europe’s cellar.